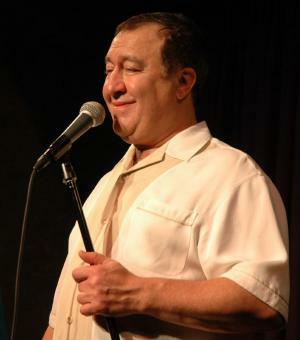 Domenick Jack Irrera was born on 18 November 1948, in Philadelphia, Pennsylvania USA, and is a stand-up comedian, best known for having a routine that involves stories about his life, talking about growing up in an Italian-American family filled with memorable childhood moments. All of his endeavors have helped put his net worth to where it is today. How rich is Dom Irrera? As of early-2017, sources estimate a net worth that is at $1.75 million, mostly earned through success in stand-up comedy. He’s appeared in numerous shows and is a regular performer at many comedy festivals. He’s also garnered numerous awards over the course of his career, and all of these achievements have ensured the position of his wealth. Irrera’s comedy career began when he got a break as part of Rodney Dangerfield’s “Nothing Goes Right”. After performing as a stand-up comedian for many years, Dom then started getting featured on television; his popularity grew and so did his net worth. He made appearances in hit daily shows and talk shows, which included “The Oprah Winfrey Show”, “The Late Show with David Letterman”, and “The Tonight Show with Jay Leno”. He’s also made cameo appearances in various series, steadily improving his net worth. Aside from regular television spots, he is a regular performer at Cat Laughs, and has made more appearances in the festival than any other comic, with around 15 in total. He’s also been featured in the sitcom “Seinfeld”, as well as “The King of Queens” in which he plays Spero Demopolous. He’s a contributor to the animated series “Dr. Katz, Professional Therapist” too, the only comic to have appeared in the show for all six seasons. Irrera has received several awards over the course of his career, including being called as one of the funniest comics of all time by Comedy Central. He won a Cable Ace Award for Best Stand-Up Comedy Special, and also became a part of the show “Supreme Court of Comedy” as the Judge, shown exclusively on DirecTV. He’s released several comedy specials too, including “One Night Stand”, and “Full Frontal Comedy”. Dom also does voice work, notably being part of the show “Hey Arnold!” as Ernie Potts, and he also became a part of “Back at the Barnyard” voicing Duke. In 2003, he released a comedy album entitled “Greatest Hits Volume One”. Additionally, Dom has also worked in films; he was a part of “Hollywood Shuffle”, and also made a cameo appearance in the film “The Big Lebowskey”, plus playing himself in the Rodney Dangerfield film entitled “The Godson”. One of his latest performances was in 2010 when he did a one person show entitled “Plugged, Unplugged and Plugged Again”. Thanks to the numerous opportunities he’s received, his net worth continues to rise. For his personal life, nothing is known of any relationships. Most of his immediate and extended family live around one area in South Philadelphia. It is known that Irrera is a big fan of sports.